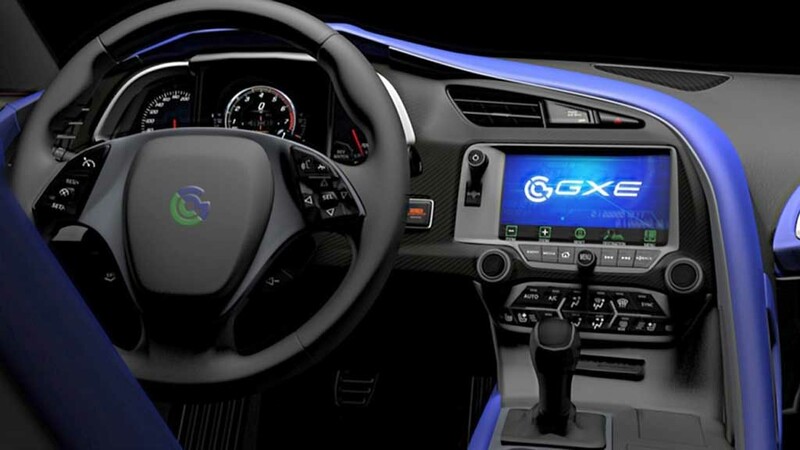 Genovation GXE zero emission pure electric sportscar has premiered at the 2018 CES (Consumer Electronics Show in Las Vegas). 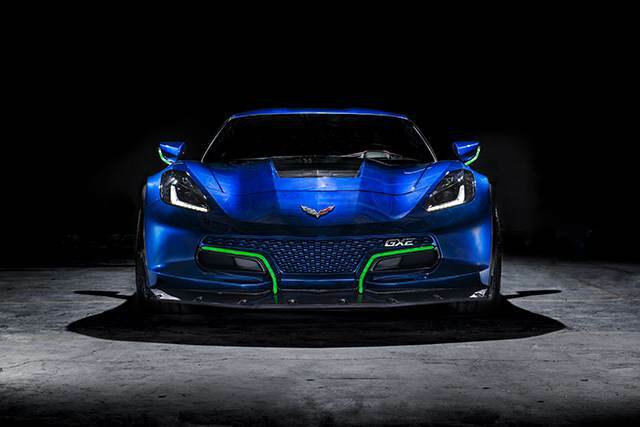 Based on a Chevrolet Corvette, this sportscar is capable of running more than 281 km on a fully charged battery under normal road conditions. What makes it more exciting is that the car is capable of reaching 0-100 kmph in less than 3 seconds and it also has top speed of 354 kmph. In 2016, Genovation claimed that pre-production GXE’s all-electric powertrain would be able to kick out 700 hp of peak power and 813 Nm of peak torque. The company also claimed that pre-production GXE would be ableto run up to 210 kilometre on a single charge. As it appears, the production version of the pure electric spotscar has more to offer than it actually promised. 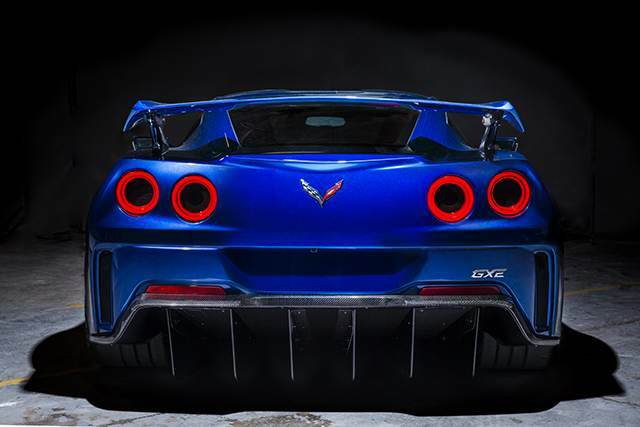 Now, the electric powertrain under the skin of this car is capable of pumping out more than 800 hp of peak power and enormous 949 Nm of peak torque. Speaking about its powertrain, Genovation GXE draws energy from “state-of-the-art batteries, inverters and electric twin-motors.” but not details specs have been revealed. Transmission duty in the Genovation GXE is done by either a 7-speed manual gearbox or a dual-clutch automatic paddle shift unit. 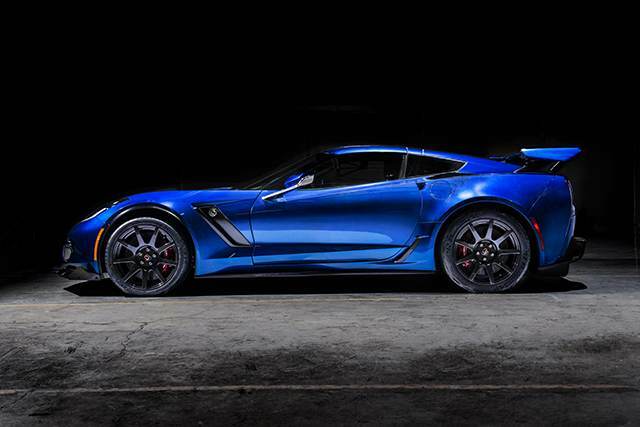 While the company is yet to reveal what are the mod jobs the Chevrolet Corvette has received in order to become the GXE, it has surely got some aerodynamic enhancements in order to increase the performance further. Also read: Will Mercedes Assemble EQ Electric Cars In India? It gets a new large touchscreen infotainment system with several connectivity options and offering control of various functions. Also, there is a custom audio system along with new air conditioning. Expect it to get an updated suspension and braking equipment as well in order to enhance the performance. Production is restricted to only 75 examples and price starts at a massive $750,000 (Rs. 4.77 crore). The first deliveries are to be made in the later part of this year. The GXE has slightly revised exterior as well with a new front portion featuring integrated LED lighting system, a rear wing, a big diffuser, carbon fibre wheels, Brembo carbon ceramic brakes, etc. The eyeball-grabbing paint job consists of up to 15 individual coatings of paint to ensure a deep, durable and sustainable finish according to the brand while each model will be painted in a distinctive colour to emphasise uniqueness. Inside the cabin, customers will be treated with leather and Alcantara upholstery as well as a Harman audio system.